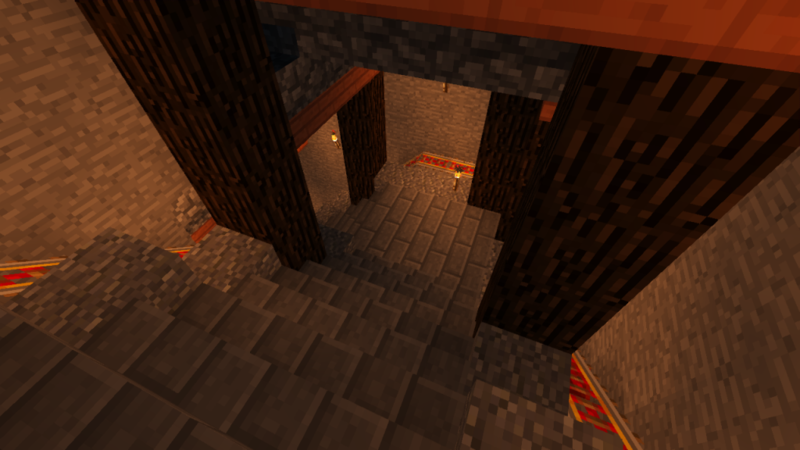 I like to decorate my mineshafts. 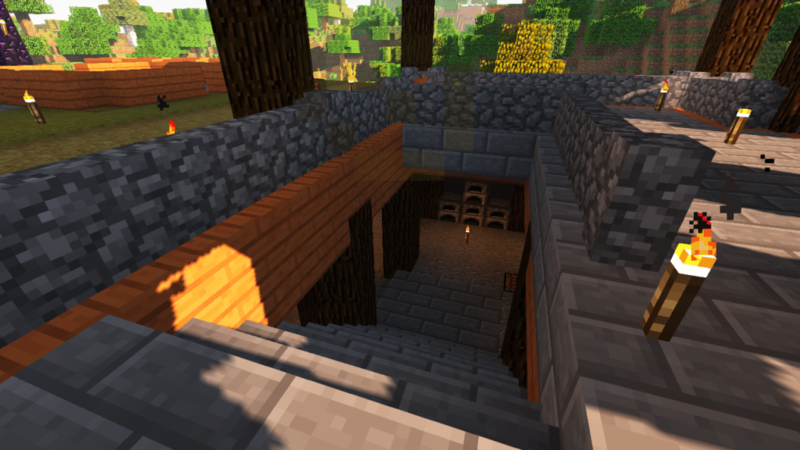 I have an album of mineshafts I’ve built in Minecraft in a variety of worlds I’ve played in. 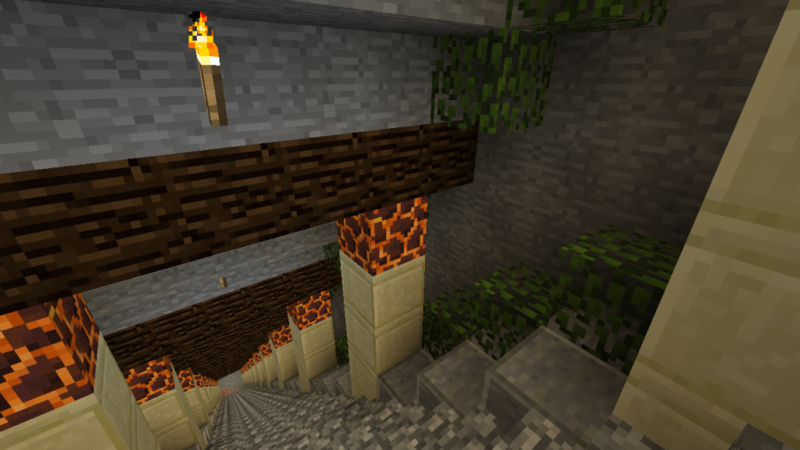 Over time, I’ve settled on some common patterns: three wide shaft, stairs down to level 11, a branch on either side every four blocks (so there are three between branches), place a torch every ten blocks within a branch, make a branch 100 blocks long (10 torches) before starting a new one, etc. This is all rather straightforward, and I’ll dive into some of these a little deeper in a minute. 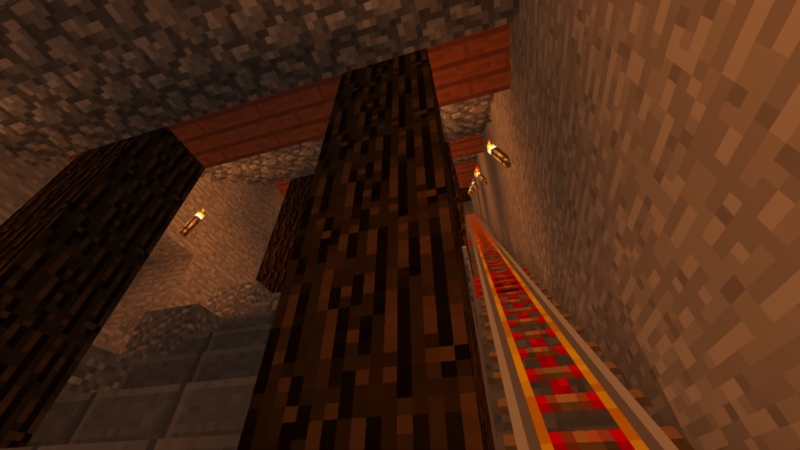 But first, this post is about a late game mineshaft. My early game mineshaft is all about getting those first diamonds, building up an initial supply of iron, and finding the necessary lapis for enchanting and redstone for automating. But the late game mine is different. I’ve been working on New Lusitania, on the ChickenPieCraft server, for almost a year now. I’ve built some big farms, explored the end, fully decked out my tools, weapons, and armor. I really don’t need much. There is a witch farm for redstone needs, I have three iron farms at my base, a tree farm provides all the wood (and therefore charcoal) I could possibly use, trading for lapis is easy, and my pigman farm gives me enough gold for powered rails, which is my main use for it. Why mine in the late game? For diamonds. But not for diamond armor, tools, or weapons. For diamond blocks. Also for stone. 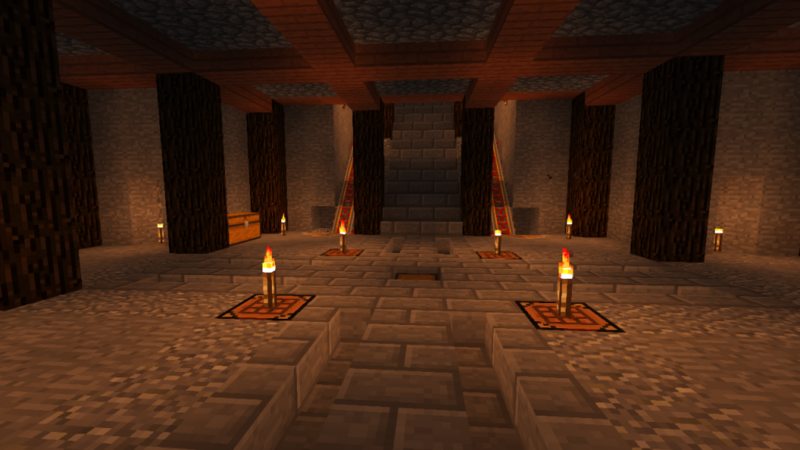 Quarries work well too, and I have one, but a good mine gets the stone alongside diamonds. Finally, to build a world. New Lusitania is a pigman empire. Of course they have a mine. Of course it is efficient. 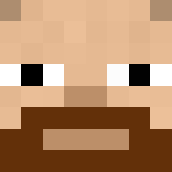 A proper mine is part of any Minecraft empire, so New Lusitania needs one. So, I designed and built a late game mineshaft for New Lusitania. What makes it late game, specifically? Beacons. The branches where mining will take place are covered by beacons with Haste II, so mining is quick and easy. Minecart dropoff locations. 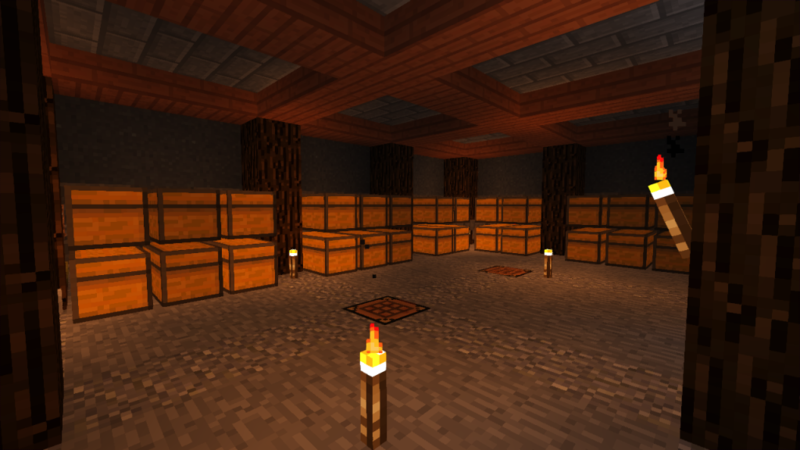 The main shafts of the mine have larger rooms with dropoff chests every hundred blocks, so there is no need to go back to the surface while mining. A proper sorting system for all normally mined blocks and items. 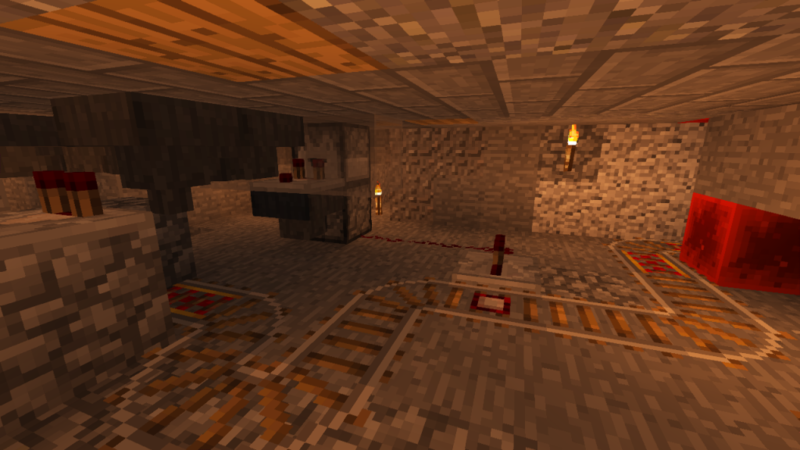 The dropoff locations route items to the mine entrance, where they are taken by hopper minecart up to the sorting area on the surface. This sorting area has space for all normally mined blocks, and a overflow area for rarer stuff that you might find while mining. Larger rooms and shafts. 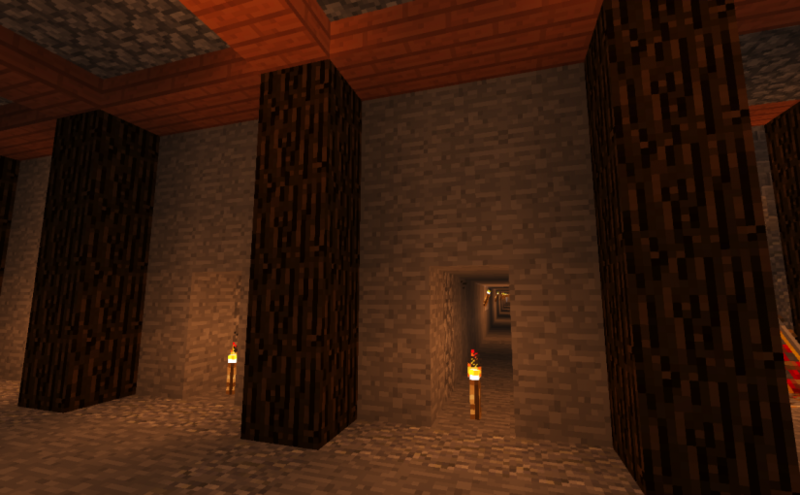 Each main shaft of the mine is 5 block wide and is supported properly by logs and beams, decorated and nicely lit. Every 100 blocks, there is a larger room, the size of a chunk. Bucketloads of diamonds. The goal here isn’t iron, gold, redstone, or lapis, though I do gather those. It’s diamonds. And it really doesn’t take much to load up on diamonds. I primarily mine the ores with silk touch, and then later go through all the ores with a Fortune 3 pick to get as much as possible. Experience. With two picks (fortune III and silk touch) that both have mending enchantmets, I can continuously mine without stopping to run to an XP farm. Instead, when I need to stop, I start smelting all of the iron and gold, grab all of the silk touched ores and mine them with the fortune pick while holding the silk touch pick in my off hand. Finally, I pick up all the smelted ore. Doing that while not wearing armor makes it possible to get the most XP possible going to the two picks. Generally, proper mining at level 11 nets enough XP to fully mend both picks, as long as they are roughly balanced in their use. I start a new branch every four blocks, 100 blocks long, place torch every ten blocks. I start each branch with ten torches in my offhand. 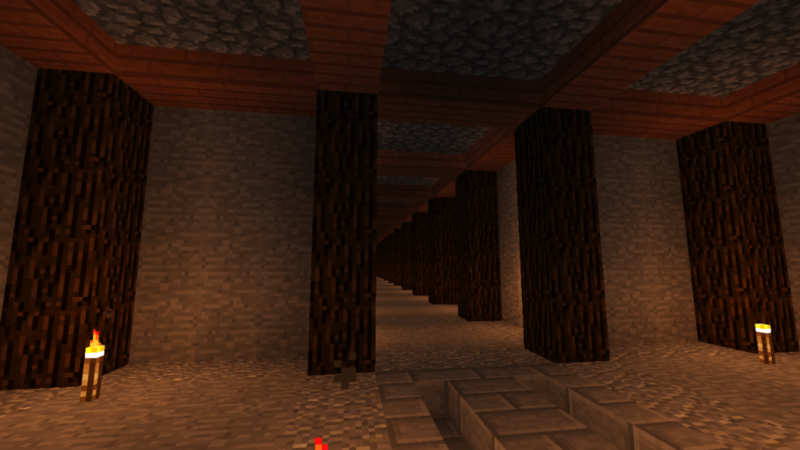 At the end of each branch, I mine four blocks sideways to where the next branch will end. That provides a nice check when mining the next branch. Use a silk touch pick and a fortune III pick. Balance them. Generally use the fortune pick for mining, but switch to silk touch when extracting any ores. I want to build up to mining out a full square 200×200, then expand each edge by another 100, when needed. I will build up to having multiple entrances, but only one sorting system. May need multiple XP farming areas, once I figure out an easy way to do that. Aesthetics: I stick to the 5×5 grid, make sure the mine has support beams, fill in holes as desired, and I made the minecart system blend in, or be hidden. Figure out a good ratio of silk touch : fortune mining. Keep raw ores that give XP below ground, use it to mend the picks. Find a good system for doing that. Use beacons in the mining rooms to provide full haste coverage, consider how that changes the mining experience. Or place the beacons in the middle of a 100×100 square to be mined. Adjust sorting system to improve ratios and properly store the most common blocks and items, like stone, cobble, coal, and redstone. Figure out a good ratio of shaft length to branch length to beacon coverage: 23 tile shafts or 28 tile shafts or 18 tile shafts? I’ll spend more time designing my next one, now that I have some patterns I like. What do you do? Do you mine in the late game for any reason? How would you set up a late game mine? I hope these ideas are useful. For me, at least, they give me a purpose to keep building towards and provide a fun way to get there. Mining itself can be mind numbing, but making it go quicker, with clear goals and a beautiful end results, really gives me a sense of satisfaction.